Has your balance been a bit... Off lately? Do you feel any weakness in your left leg and arm? If you were to check those symptoms on the internet, you'd think that it was a stroke, but if your case is anything like that of an 84-year-old man in Northern Ireland, you may have a bubble on your brain. According to reports, the elderly man went to the emergency room after weakness and imbalance caused him to fall multiple times. Dr. Findlay Brown, a general practitioner in Belfast, said that due the patient's age and the symptoms, doctors first assumed he had suffered a stroke. But a CT scan of his brain revealed a 3.5-inch pocket of air (a pneumatocele) in the right frontal lobe. If this man had suffered a stroke, it became secondary to the larger issue. "We knew immediately that there was something very abnormal," Brown told CNN. "Initially, we thought perhaps the patient hadn't disclosed having previously had some form of operation or a congenital abnormality, but ... he confirmed he hadn't." 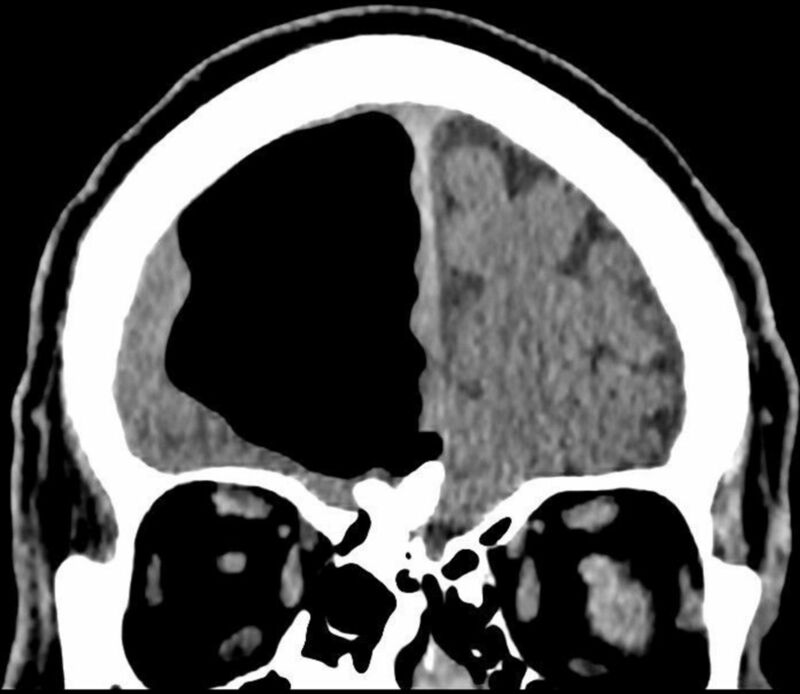 An MRI revealed that the source of the air bubble was a small benign bone tumor in the man's paranasal sinuses. The tumor had eroded through the base of his skull, which was allowing air to leak up but not to flow back out. "It's kind of like an inverted Coke bottle," explained Johns Hopkins Hospital pediatric neurosurgery professor Dr. Alan Cohen. "Sometimes, there can be a one-way valve, and air comes in and can't get out." Doctors offered the patient a surgical treatment that would have involved temporarily removing part of his skull to remove the tumor and patch the leak. Because of his age, he instead chose to take medication that would prevent future strokes. After 12 weeks, he reported to his physicians that the weakness and imbalance had gone away. His future remains unclear: "The question in this fellow's case is, we don't know if, over time, more air is getting in than getting out, which would cause neurologic instability," Cohen admitted. Which is still more optimistic than anything WebMD has to say. Images via BMJ Case Reports.